6:00 hr, aluminum alloy, wood, paper, 2013. According to the FBI, suspicious activity is defined as “observed behavior that may be indicative of intelligence gathering or pre-operational planning related to terrorism, criminal or other illicit intention. ” Texas’ Homeland Security Department further describes persons to be reported as “showing unusual interest in utilities, government buildings, historic buildings or similar infrastructure … photographing, videotaping, inquiring about security, drawing diagrams or making notes about such facilities." Over the past twelve years, the definition of citizen behavior has altered the American public space. Sketching, photographing, or videotaping a historic building is now defined as suspicious activity by the State. Unintentional or otherwise, by defining suspicious activity, the State Department has determined the activities of artists as reportable. These activities, when removed of suspicion, are behaviors exhibited by not only artists, but architects, students, hobbyist and tourist alike. And so, the definition of a citizen’s behavior is no longer centered around the particular behavior, but rather the suspicion, a feeling, of the behavior. 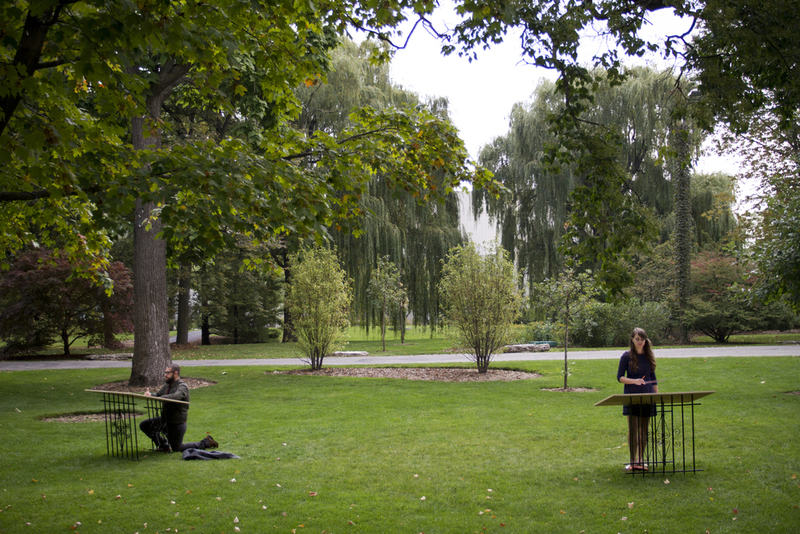 In 2013, Jesus Mejia & Ruth participated in Northwestern University's Graduate Studies Conference In Bodies We Trust: Performance, Affect and Political Economy. 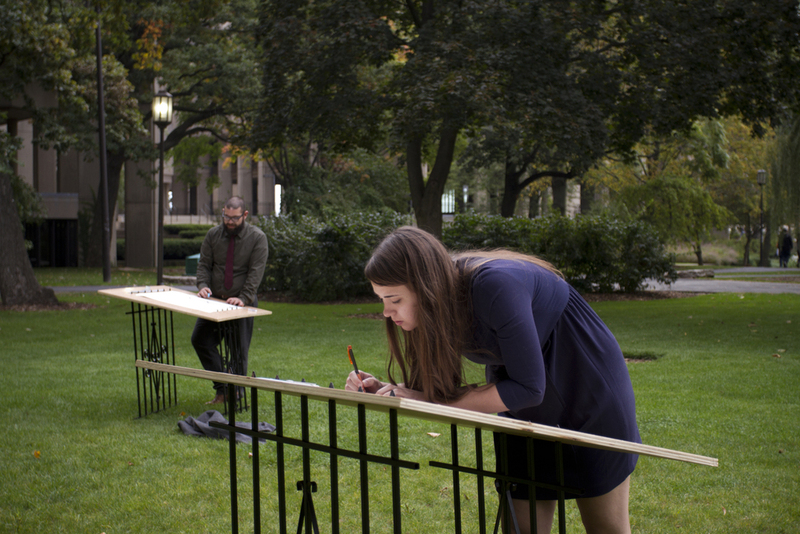 As artists, Jesus Mejia & Ruth exhibited this suspicious activity and for the length of the day, sketched the historic places of education on Northwestern University's campus.